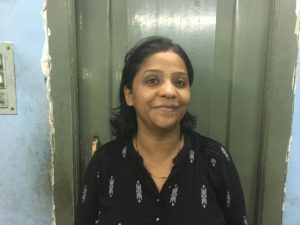 Parveen is the Program Manager, specifically for the Rag Picker projects and has been with the company since April 2018. She is from Kolkata, West Bengal, India and speaks English, Bengali, and Hindi. She has a team of 14 and her responsibilities include overall planning and implementation of project initiatives, coordinating with different facets of the program, supporting supervisors of varying components for quality assurance. The two things she loves most is the ability to work independently and knowing she is working for the development of the vulnerable communities by bringing about a positive change in the lives of underprivileged women and children. Debasis is a Senior Accountant and has been with Tiljala SHED for the last 20 years (May 1998). He is from Medinipur, West Bengal, India and speaks Hindi, Bengali, and English. He has a team of 2 and his responsibilities include voucher entries, project accrual reports, deposit and refunds, salary sheets, preparing budgets, balance sheets, and FCRA returns. The two things he loves most about his job is when he submits the project accounts to the funding agencies which they are able to approve it immediately and when he prepares the balance sheet tally and it is done well on the first attempt. He says, “it is very satisfying knowing you’ve done your job correctly”. Tahera is an Open Shelter Home (ICPS) Coordinator and has been with the organisation for the last 17 years (2000). 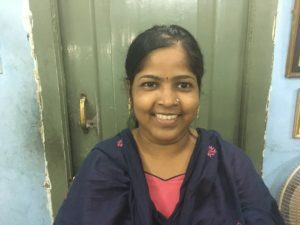 She is from Kolkata, West Bengal, India and speaks Hindi and Bengali. She has a team of seven and her responsibilities include-monthly and quarterly reports, performs accounts payable, monitors and conducts meetings, and works on the Children Committee. The two things that she loves most about her job is having the freedom to work independently, and loves working with children who need love, support, and care. 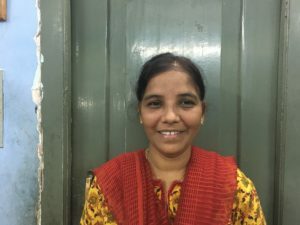 Chanchal is the Education Supervisor and has been working at Tiljala SHED for about 17 years. He is from Purba Medinipur, West Bengal, India and speaks Hindi, English, and Bengali. 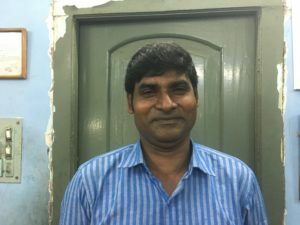 Chanchal has a team of five and his responsibilities include admitting children to government schools who are not currently admitted, conduct parent meetings to motivate them to continue their child’s education, visits with teachers and schools, help children with any struggles they may have, and provide after-school education/tutor. 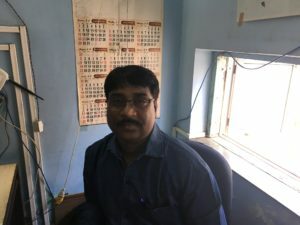 The three things that Chanchal loves most about his job is providing education to children who need it, motivating the people in the community, and helping the children how to play sports so that they can enjoy themselves. Rubina is a National Child Labor Coordinator and has been working with Tiljala SHED for the past 21 years (1997). She is from Kolkata, West Bengal, India and speaks Hindi, Bengali, and English. 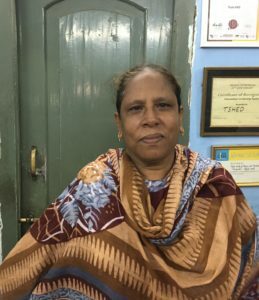 She works with a team of four and her responsibilities include preparing and submitting detailed monthly reports and monitors the child labor program as a whole. The two things she loves most about her job is engaging with the children and having the ability to work independently. Mita is aCoordinator for the Business Developing Scheme and has been with the organization for almost 18 years (2001). 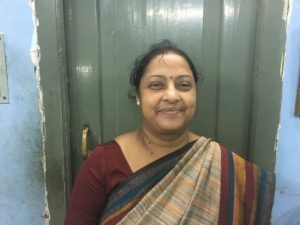 She is from Kolkata, West Bengal, India and speaks Bengali and Hindi. Mita has a team of two and her responsibilities include preparing of monthly action plan and ensure its exception as per the project-implementation plan, supporting community workers in all assessments, organizing and facilitating all trainings at field level, preparing monthly reports and funds, and regular update/maintenance of all the accounts. The two things she loves most about her job is interacting with beneficiaries and completing data and maintaining management skills. 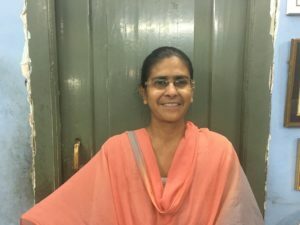 Shreya is a supervisor for the Child Sponsorship Program and has been with the organization for the last 15 years (2003). She is from Kolkata, West Bengal, India and speaks English, Hindi, and Bengali. She works in a team of five and her responsibilities include accounting, school and home visits, interacts with the teachers, and engages with the girls regularly and providing guidance. The two things she loves most about her job is interacting with the children and solving their problems. Most of the employees here at Tiljala SHED are people who have benefitted from the support, resources, and education that Tiljala SHED has provided.